Sometimes people need someone who can perform jobs that they can’t handle, this can be anything from help loading up their rental moving truck or hanging some shelves, to installing a new garbage disposal or fixing a leaky faucet. Bigger companies normally don’t want to touch these types of jobs. That leaves a great market for handymen to make some good money carrying out these types of jobs. Our Powered By Pros network has been built with handymen in mind. We want to be able to refer business to you from potential clients looking for these types of services. Can you help people build IKEA furniture or clean out gutters? If so, we want to get your business. We have been working with other handymen nationwide and we are looking to expand our service to new locations. Our system is very user friendly and can help you land some great jobs for very little in terms of lead pricing. If someone landed you a big handyman job, would you buy them a cup of coffee to thank them for it? Sure you would! That is the price of our handyman leads, no more than a cup of coffee. Let’s start getting you work today! 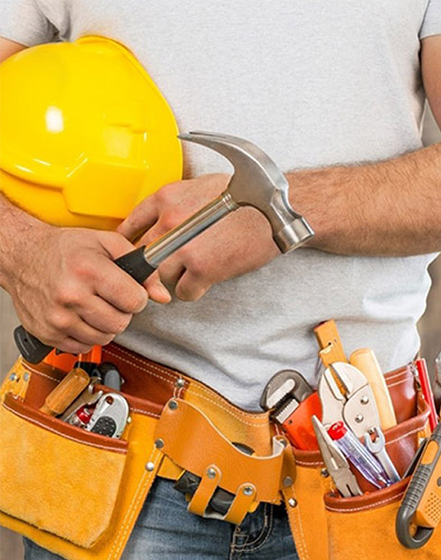 Sign up with Powered By Pros and we can make sure you have a good pick of some of the best handyman jobs in your area. And remember, it’s free to sign up and it’s free to view what type of work we have coming in. You just pay for the clients’ name and phone number you want to land the job.